There are days when we simply want to listen to good music to de-stress and enjoy some me-time. 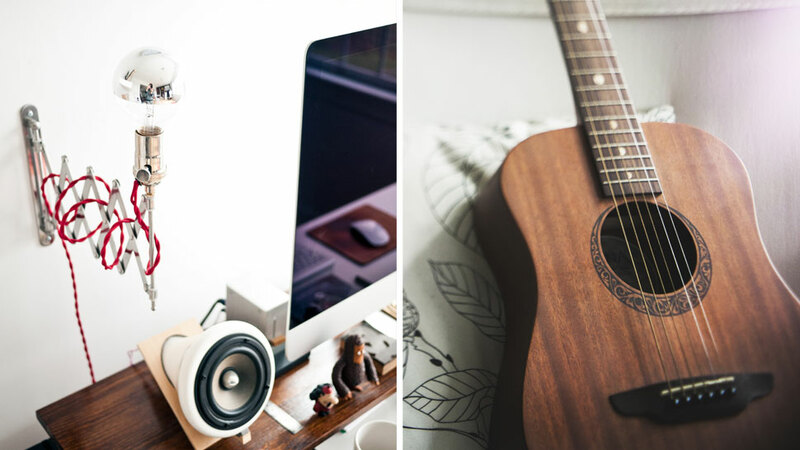 If you have enough space at home or an extra room that you can renovate, you may want to create a music room where you can hang out or even play some instruments. Whether you are into digital music or old-school vinyls, be guided by these tips and fall into the world of sound. Once you've chosen the spot for your listening room, it is time to plan the room's design around your gadgets. Make a list of your must-haves and each item's dimensions. Start laying them out on the room's floor plan and don't forget to take into consideration the cables of the gadgets that need to be connected. If you're working with a strict budget, you can get speakers with a built-in amplifier. However, if you have money to spare, you may want to get a separate amplifier instead as it gives you the flexibility of using different speakers and upgrading these must-haves in the future, too. Speakers in different types need to be placed in a specific place. Don’t leave the speakers on the floor unless they are floor-standing tower speakers or heavy speakers. There are speakers that can be wall-mounted as well as those that need to be placed on stands and shelves to the right ear-height. Once these are all set, remember not to leave anything in front of it to ensure a clear sound. You might be worried about your neighbors being bothered by the sound from your listening room—if your budget allows, it is safe to make it soundproof. You don’t need to spend a lot, most audiophiles go for the quality than the volume of the sound.